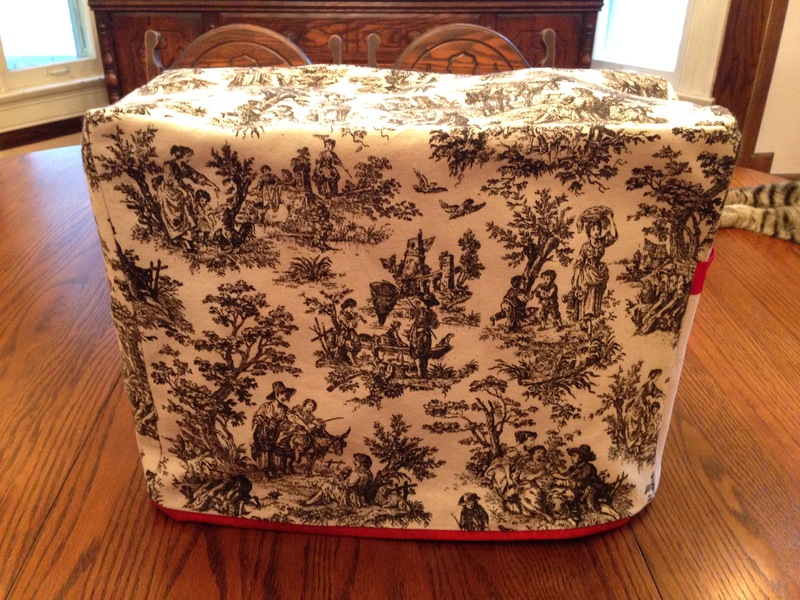 This entry was posted in Uncategorized and tagged purlsandpleats, sewing machine cover, Strawberry Patches by jendavismiller. Bookmark the permalink. Yay. Nice work and great pocket. My machine is unnamed but my mannequin is called Camilla (or “The Duchess”). Why thank you! I’m ready to move on now to garments… Love the name Camilla for your dress form. Thank you very much, Sarah. And yes, I am moving up now…..here I come, Vogue 8950!